The cracks may look papered and the All Progressive Congress (APC) in Lagos after its primaries across the state would believe the party is still united and should coast to victory in the elections in 2015, but they may wake up and find the opposition Peoples Democratic Party (PDP) in Alausa and to be candid I wouldn’t be surprised one bit. Let me admit that some of the candidates in APC whose political ambitions were stonewalled are known to me in one form or the other, but my analysis and opinion here are totally rigorous and devoid of sentiments or malice. Wole Soyinka just described President Goodluck Jonathan as the biblical Nebuchadnezzar, and while I certainly agree with him, I would like to say we have a Nebuchadnezzar and Emperor Nero rolled into one in Lagos state and that man unfortunately is APC chieftain Bola Tinubu. Nebuchadnezzar in the sense that he has allowed the spirit of grand delusion take over him completely which like the biblical Aramean (present day Syria) King saw him become delusional and began to boast of all his achievements and conquests to the extent of turning himself into a god to be worshipped by the people. God Almighty made him fully insane, losing all of his sanity, dethroned him for seven years before restoring him back to the throne and he then learnt to praise the true God. Emperor Nero on his part is more associated with the term “fiddling while Rome was burning”, but his major problem was his tyranny and arrogance towards the people he ruled which led to disobedience and wars against him. The same arrogance you can find on the part of Tinubu and those within his inner circle still enjoying his political clout. Like Nebuchadnezzar, I wouldn’t be shocked if PDP takes over Lagos state at least for the next eight years starting from 2015 so as to humble Tinubu, and make him realise whatever he has become in Lagos and to the Yoruba people is not by any act of perfection of his but just by the mercies of God. Tomorrow APC would all things being equal “select” its gubernatorial candidate and pointers are that the anointed candidate by godfather Tinubu, Akinwunmi Ambode would be selected. I say selected because judging from the outcome of the primaries for the state House of Assembly, preferred candidates from the Tinubu camp scored over 95% of the votes in their constituencies in some cases 100% in what was supposed to be open and fair primaries, thus its clear Ambode would be selected on Thursday December 4th with a large proportion of the votes at the primaries. The situation report from all the different constituencies where the House of Assembly primaries were held, was that party delegates were instructed to vote in full for any candidate anointed by Tinubu. They were simply told at the election venues that the godfather had asked them all to vote for just one person. It’s the same procedure to be adopted for Ambode’s victory and some candidates vying, may have zero votes put behind their names if they don’t step down before Thursday. You wonder why should Lagos state with all the talk of progressivism be run that way? What is the essence of attending the US Democratic party’s convention and not bringing back any ideas from there? Did Tinubu just attend to have a photo-op and boost his own political status or was he there to learn one or two new things to help move his own party forward? You had the better part of a year for succession planning even if you wanted to have some level of control in the party as a leader in it, together with ‘Tunde Fashola why didn’t you take the most part of the year to plan the race for his successor? Why all the last minute rush and deception that smacks of the archaic politics still being played in Lagos state? The APC (all through its metamorphosis in Lagos state) has become a victim of its own success in the last 16 years and you shouldn’t be shocked so many people want to share in that success, after-all they all worked for it too. For one man to believe he alone is the architect of the whole success would be stretching it to the level of grand delusion and just like Nebuchadnezzar he would soon be dethroned by God just so he can learn who is the Almighty. In 2007 when Action Congress was not even yet as successful as this, we had lots of candidates who wanted to succeed Tinubu, and luckily I’m sure through divine guidance a man foretold in Fashola was given the ticket and he hasn’t disappointed. His performance over the last eight years (with plenty of work yet to be done in mass populated areas) has further made the party now called APC a victim of its own success and so many more candidates want to succeed him. In an age where even in the United Kingdom, century old parties like the Conservatives are seeing members crying out for open primaries rather than the age long style of selection of candidates that only ensures the elites and private school tutored boys get into government, Lagos state under Tinubu is preserving the Conservative style where only his own cronies. family members, relatives and children whose fathers are known get into position in the state yet we call ourselves progressives, democrats or forward thinking. What does it cost Tinubu and APC in Lagos state to organise a proper primary and state convention like its done in countries where he has visited and been seen photographed in their own democratic conventions? Take a look at the House of Assembly primaries and you find lots of women either not returning as candidates for the party or they were not given a chance at all. In Oshodi-Isolo 2 constituency the female candidate there a current state legislator was routed by a fresher Ladi Ajomale, son of the APC state chairman Henry Ajomale. In Amuwo-Odofin 2 constituency, the female candidate a state legislator was also defeated by a Tinubu favoured candidate. In Ikeja 1 constituency Kenny Saint Brown (KSB, popular musician and younger sister to Kenny Ogungbe) was not even given much of a chance as she lost by a wide margin to another fresher just like her Jimi Mohammed, son of Lai Mohammed the APC National Publicity secretary. Though KSB is quite new to the political scene one would have thought been a woman (a sector of our society and politics that can be classed as vulnerable people) she should have been given more support and help to achieve her dreams. You may say its politics and the majority wins but compare it with another popular face Nollywood actor, Desmond Elliot totally new to politics but defeating an incumbent Kabiru Lawal to win in Surulere Constituency 1 and then you now the APC is possibly a party led by misogynists. Take a look also at Ikeja Constituency 2, the only female candidate in that constituency out of several male contenders was first disqualified by the APC state screening committee citing the fact that she has no political experience. 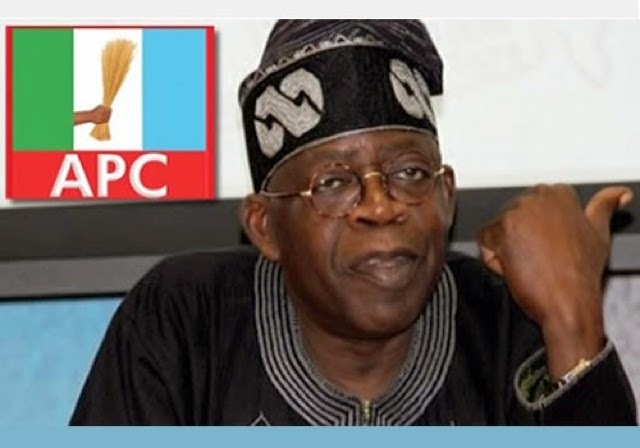 A candidate who has been with the party since 1999 under Alliance for Democracy (AD) attended several meetings of Bola Ahmed Tinubu Campaign Organisation (BATCO) those days when its head office was at Aromirein Ikeja. A candidate who has held political positions within the Local Government (Ikeja LG/Ojodu LCDA) and you say such person has no political experience. In any case even when the folly was rectified and they went to primaries, the godfather brought a certain Damola Kasumu with zero political experience, who is a nephew to Tinubu to be declared the winner. The female candidate was given no chance, the rest of the candidates too no chance in hell just because the godfather wants to compensate his nephew. The Kasumu according to reports widely written about him in the Nigerian press is said to be the surviving child of the late Abibatu Mogaji (a woman Tinubu related to as his mother) but his known to be a drunkard with slurred speech who mismanaged the businesses he inherited from his late mother and had ran into hard times. While all that is none of my business really, but the emerging trend is that in Lagos state there is now a glass-ceiling on people’s political ambitions and only Tinubu can decide what you become in the state. I heard Fashola some months back talking about if having to choose between freedom and development he did choose freedom any day. The likes of Musiliu Obanikoro who defected from the AD to PDP despite the help he got from Tinubu, as well as Jimi Agbaje who has never teamed up with the so called progressives may be right after all. What's the point calling yourself a progressive and you have to be under one man’s group thinking? You not allowed to make your own decisions, pursue your own dreams whether you fail or win, neither are you able to stand out and criticise the the man if he is failing.